Interesting article by David Blight at Slate.com. . .
Other than that, Mrs. Lincoln, how was the candy? Most everyone, by now, has heard about the kerfluffle over the John Wilkes Booth bobblehead that was briefly put on sale in the visitor's center of the Gettysburg National Military Park. It was a classic, "what were they thinking" moment. 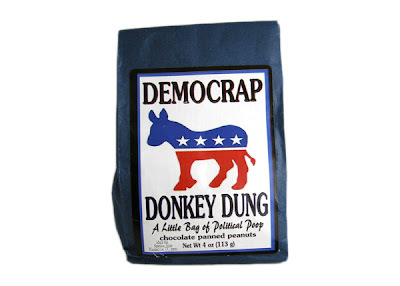 And while some may have found the decision to sell this item shocking or distasteful, I doubt there are few who were surprised that there would be a market for such a product. 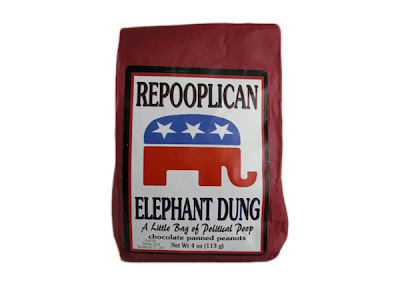 Tasteless souvenirs are as American as apple pie. The Booth flare-up got me thinking about what the gift shop at Ford's Theater (or at least their online store) offers its visitors. Of course there is an Abe Lincoln bobblehead. How could there not be? But even in this historic American shrine, one can find a souvenir to warm the cockles of even your most vulgar (American) cousin. Who among you wouldn't wish to remember your visit to the site of the Lincoln assassination with a bag full of candy? Note to self. . . ditch the Confederates in Space screenplay. The marketplace has spoken. "The Walt Disney Co. said Monday that it expects to book a loss of $200 million on the movie in the quarter through March. That's among Hollywood's biggest money-losers ever. Directed by Pixar's Andrew Stanton, the 3-D effects-laden movie about a Civil War veteran transplanted to Mars was already headed to the 'Red Ink Planet,' according to Cowen & Co. analyst Doug Creutz." See full article here. There’s still room on the bus! MARK BRADLEY, author of the definitive campaign study, The Battle of Bentonville: Last Stand in the Carolinas, and historian at the U.S. Army Center of Military History in Washington, D.C., will guide us through Fayetteville, Monroe’s Crossroads (on the grounds of Fort Bragg), Averasboro and the Bentonville battlefield. CHRIS FONVIELLE, author of The Wilmington Campaign: Last Rays of Departing Hope, will handle the Forts Fisher and Anderson tours, and other Wilmington sites as time permits. During the bus ride to Wilmington and back (Sunday, April 1st), we’ll enjoy some Civil War films and robust refreshments. REGISTRATION: $275 — includes a seat on the bus for all tours, admission costs and map packets, Friday and Saturday banquet dinners, and box lunches on Fri., Sat., and Sunday. EVENING PRESENTATIONS by Mark Bradley: Thursday, Mark will give an overview of the Carolinas Campaign and introduce the major players, as well as set the stage for the following day’s tours of Monroe’s Crossroads and Averasboro. Friday evening, Mark will preview our Bentonville tour, and on Saturday evening he’ll wrap things up with a discussion of the Bennett Place surrender. For the Thursday afternoon optional outing, we’ll have guided tours of the North Carolina Museum of History, and Executive Mansion in Raleigh, and a self-guided tour of the historic State Capitol. For more information (and for PayPal payments), click on the "email me" button above, or go here and scroll down to the Bentonville section. Check out the Civil War Trust's Bentonville page for maps, articles, and other outstanding resources. All monies over expenses will be donated to the Civil War Trust. "Whilst the 150th anniversary of the American civil war continues to provoke considerable debate and a range of commemorative events, I am reminded of the war's impact on a specific part of the world—though one not located within the 50 US states, but across the Atlantic. 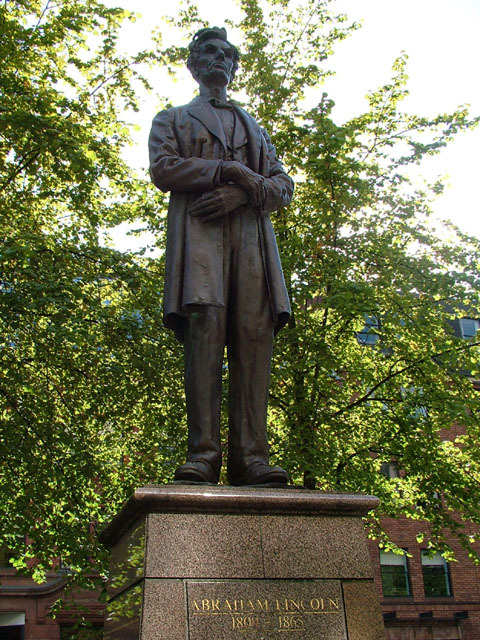 Tucked away in a quiet section of Manchester stands a bronze statue of Abraham Lincoln, his very presence encapsulating a civil war link which many Britons are unaware of—one that significantly altered the historical landscapes of both America and the north west of England." "When General Grant Expelled the Jews"
On Dec. 17, 1862, as the Civil War entered its second winter, Gen. Ulysses S. Grant issued the most notorious anti-Jewish official order in American history: “The Jews, as a class violating every regulation of trade established by the Treasury Department and also department orders, are hereby expelled from the department within twenty-four hours from the receipt of this order.” Known as General Orders No. 11, the document blamed Jews for the widespread smuggling and cotton speculation that affected the area under Grant’s command. 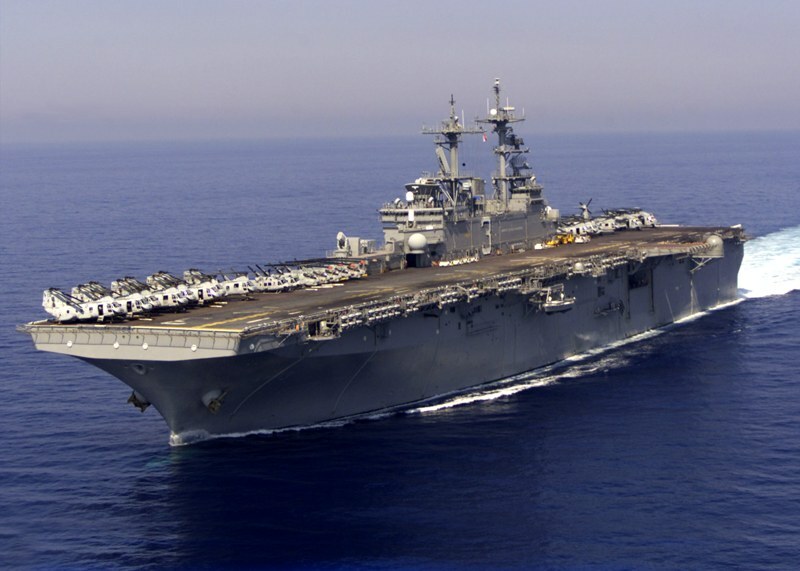 Who came up with the name of the USS Kearsarge, and which New Hampshire mountain does it honor? This is another of those enduring Mysteries of History (the fact that few people today know the matter was ever in question, and even fewer people care about a resolution notwithstanding). I had read about the controversy, but it held no particular interest for me. That is, at least, it didn't until I discovered that a distant relative of mine arguably deserves the credit. Now I'm ready to defend the honor of that remote cousin, and to denigrate the pretenders who would elbow in on my family's glory. 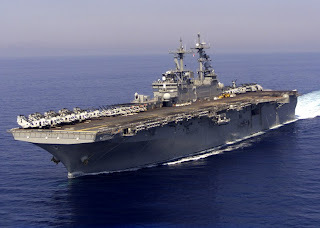 There have been four United States naval vessels named the Kearsarge. 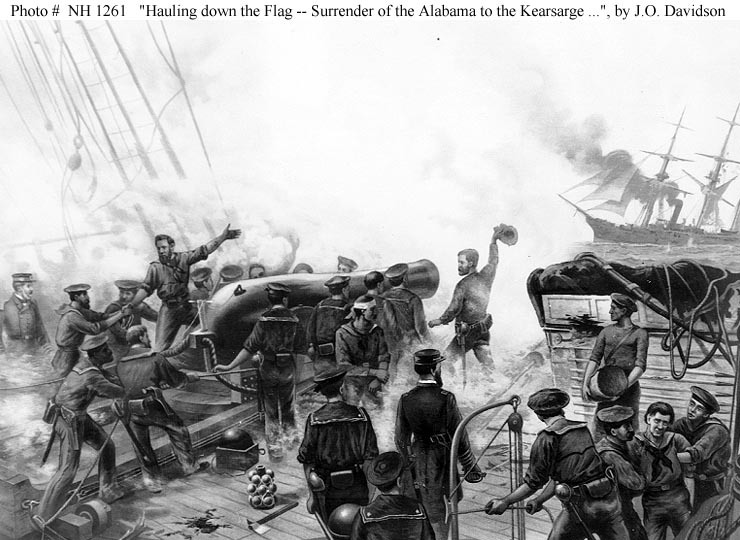 Civil War and history buffs, upon hearing the name, will picture the original sloop of War, launched in 1861, which did battle with the infamous Confederate vessel, CSS Alabama, and sent the raider to the bottom of the sea. Interestingly, while the Kearsarges in the U.S. Navy were named for a mountain in New Hampshire, there is a mountain in California named by miners for the Civil War-era sloop itself, commemorating the victory over the Alabama. The naming of the California mountain soon prompted Confederate-sympathizing miners to name a range of Sierra foothills the Alabama Hills (most famous as the backdrop for television and movie westerns). So what we have is a mountain giving its name to a ship, which in turn gave its name to another mountain, which inspired the naming of a range of hills for yet another ship. 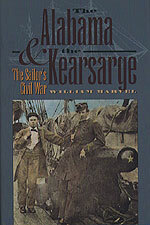 A strong case can be made that the name Kearsarge was suggested by the wife of Assistant Secretary of the Navy Gustavus Fox, Virginia Woodbury Fox, daughter of the supreme over-achiever in my family tree, Levi Woodbury [I wanted to include a photo of Virginia here, but am having trouble locating one]. 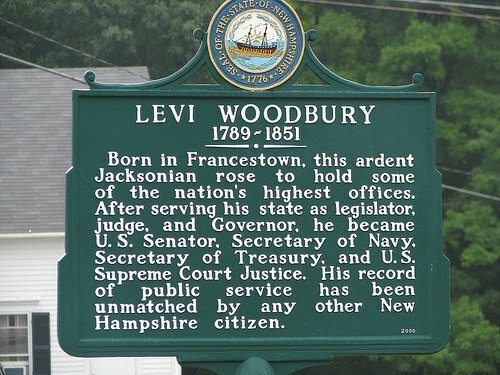 Levi was, like me, descended from our first ancestor in this country, John Woodbury -- one of the original “Old Planters” of Beverly, Massachusetts -- though my line comes off of one son and Levi’s another. 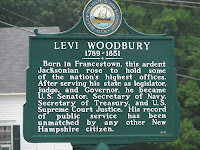 Unlike me, Levi served as a governor (New Hampshire), a senator (New Hampshire), as Secretary of the Navy under Andrew Jackson, as Secretary of the Treasury under two presidents, and as a justice of the United States Supreme Court (nominated by James K. Polk). He tried twice to win the Democratic Party nomination for president, and fell short. My only elective office was a two-or-so year stint as president of a local Civil War Round Table. My recent Civil War-related revelation was that two of Levi Woodbury's daughters were neck deep in Washington political families during the administration of Abraham Lincoln. As mentioned, Virginia was married to Gustavus Fox, described as the de facto chief of naval operations and a major proponent of ironclad technology. Virginia's sister Mary Elizabeth Woodbury was wed to Montgomery Blair, Lincoln’s Postmaster General and brother of Major General Frank Blair. Mary Elizabeth’s father-in-law was Francis Preston Blair, a political juggernaut who founded Silver Spring, Maryland and the man who arranged the Hampton Roads Peace Conference. 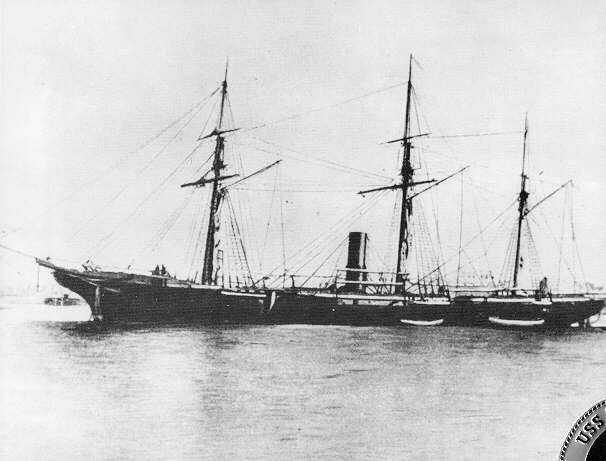 According to Secretary of the Navy Gideon Welles, Virginia Fox Woodbury, a native of New Hampshire, recommended that one of the navy's new warships bear the name of a well known mountain in her home state's Carroll County. Turns out there were two mountains in the state bearing roughly the same Abenaki Indian name, with various spellings, and controversy ensued when a newspaperman in Concord—Mr. Henry McFarland—insisted that the idea for naming the ship was his, and that it was in honor of a smaller Merrimack County peak. McFarland claimed to have made the suggestion in a letter to Secretary Welles, who subsequently disavowed any knowledge of the missive and said he recalled speaking only to Assistant Secretary Fox about the matter. Nothing doing, said McFarland. The credit-seeking newspaperman soon recruited the president of the state historical society, Nathaniel Bouton, who was also a state legislator, and an effort was launched to change the name of the Carroll County mountain. Fox presented his assembled evidence to a three-person historical society committee, assembled by Bouton, which summarily rejected his argument and officially called for giving a new name to the Carroll County eminence -- “Mount Pequawket.” McFarland rejoiced in the decision. Years later he endeavored to seal his claim by publishing a book relating his version of the naming of the U.S.S. 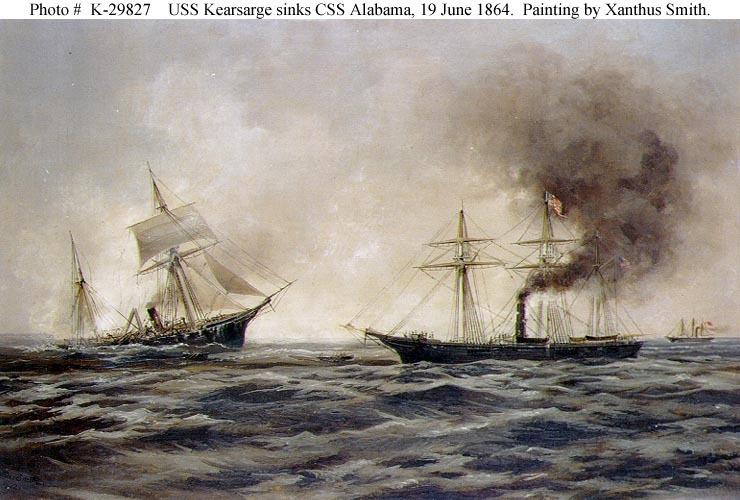 Kearsarge. The sheer weight and breadth of McFarland’s crusade to claim credit appeared to have ended the matter, particularly as all of the principals in the naming controversy passed away (Fox and Welles were gone by the time Fox mounted a victory lap with the publication of his “proof”). The story doesn’t end there, however. Late in the game an elderly Baptist minister. 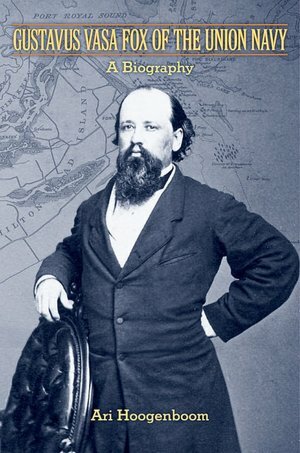 Joseph Gilmore, trumpeted his claim to have named the Kearsarge. His father was the governor of New Hampshire at the time, he said, and when the Navy Department requested some New Hampshire Indian names for the christening of new vessels, the governor assigned the task to his boy. The minister, it turns out, was either feeble-minded, or a liar. Writes Marvel, “Reverend Gilmore’s reputation as a theologian appears to have prevented anyone from pointing out that his father did not take office as governor until 1863 – two years after the Kearsarge was first named. Fifty years after the end of the Civil War, the U.S. Geographic Board resolved to settle the confusion over the names of the respective New Hampshire mountains. Siding with the preponderance of McFarland’s spurious “evidence,” the Board concluded that Fox’s mountain should be called Pequawket, reserving the name “Kearsarge” solely for McFarland’s Merrimack County peak. Locals ignored the pronouncement – they had always known the mountain by one name and it was going to take more than the proceedings of an obscure government board to change that. 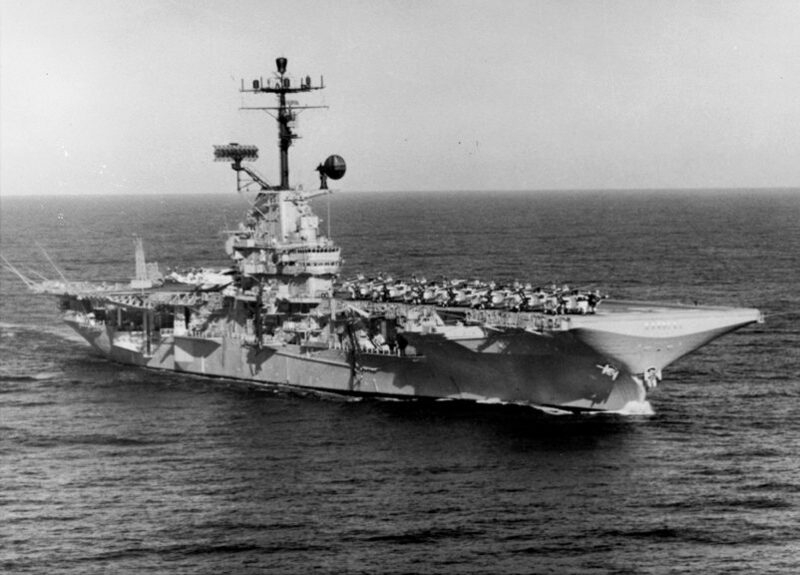 Finally, in 1958, after 43 years of residents refusing to abide by the Geographic Board’s decision, the government changed its mind and sought a compromise, assigning the name “Kearsarge North” to the peak. 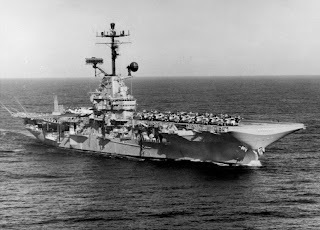 Needless to say, the locals still simply called it Kearsarge. Marvel is careful to point out that all of the machinations of McFarland, and the government’s decision to determine the proper designations of the two mountains, tell us nothing about which of the two mountains gave the U.S.S. Kearsarge her name. 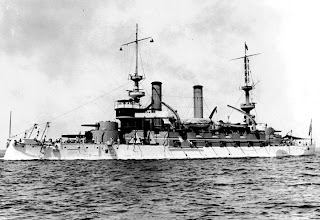 It was enough to establish that, at the time the warship was christened, Kearsarge North/Pequawket was known to Virginia Fox and others as Kearsarge. 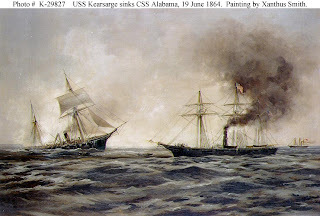 As intriguing as the idea is to me that a relative gave the name to the famous warship, doubly intriguing to me is the likelihood that a relative was a crewman on the Kearsarge during the duel with the Alabama. 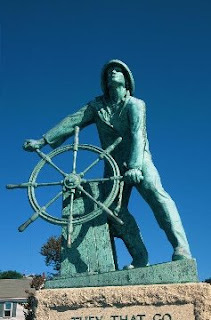 There was a John C. Woodbury from Massachusetts aboard, and Massachusetts is where it all started for Woodburys in this country -- at Salem, and Beverly, and Cape Ann where they went down to the see in ships. More on that later, if I can connect the lines. Left: John C. Woodbury, detail from a photo in Marvel's book, page 145, showing the sailor at a reunion of Kearsarge survivors in 1915. 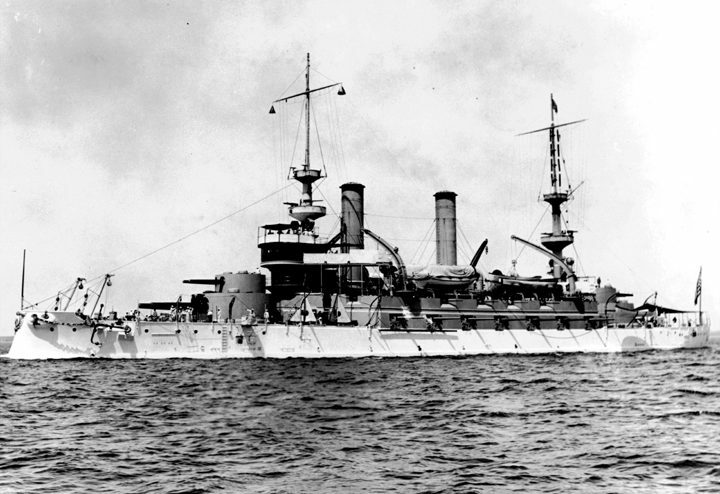 USS Kearsarge (BB-5), 1900-1920, the only U.S. battleship not named for a state. "[Offers] fresh insights, notably on the critical intersections of biography with social, military, and political history. "-Eugene D. Genovese, author of "Roll, Jordan, Roll: The World the Slaves Made"
Orville Vernon Burton, Leonne M. Hudson, and Daniel E. Sutherland delve into the master-slave relationship, the role of blacks in the army, and the nature of southern violence. Herman Hattaway, Paul D. Escott, and Judith F. Gentry offer innovative perspectives on the influential leadership of President Jefferson Davis, Lieutenant-General Stephen D. Lee, and General Edmund Kirby Smith. Other contributors consider politicians and the public: Michael J. Connolly and Clayton E. Jewett investigate how despotism contributed to Confederate defeat; David E. Kyvig and Alan M. Kraut examine the war's impact on the Constitution and racial relationships with Jews; and Bertram Wyatt-Brown, Kenneth Nivison, and Emory M. Thomas discuss the critical function of memory in our understanding of Lincoln's assassination. The essays in "The Battlefield and Beyond" consider the fundamental issue of the Confederacy's failure and military defeat but also expose our nation's continuing struggles with race, individual rights, terrorism, and the economy. Collectively, this distinguished group of historians reveals that 150 years after the nation's most defining conflict its consequences still resonate. 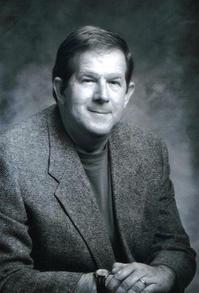 Clayton E. Jewett is lecturer in history at Baylor University and the author or editor of "Texas in the Confederacy: An Experiment in Nation Building," "Slavery in the South: A State-by-State History," and "Rise and Fall of the Confederacy: The Memoir of Texas Senator Williamson S. Oldham, CSA." 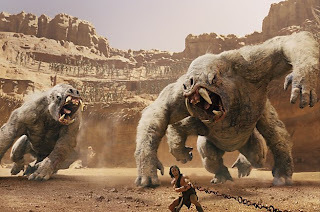 A risky and on the whole successful venture, “John Carter” was adapted from “A Princess of Mars,” the first of 11 books Burroughs centered on an ex-Confederate captain who is propelled to the Red Planet where he becomes embroiled in a war between two city states and falls in love with a comely royal. shows members of the Five Nations decked out in Plains Indians regalia. Speaking of Pea Ridge, this NY Times Opinionator column, by Gregory D. Smithers, explores the calculated gamble by Cherokee leadership in aligning with the Confederacy. The Cherokee were the largest of the Five Civilized Tribes, and the most assimilated into the ways of the White Man. Many Cherokee, particularly mixed-blood individuals, were slave-owners and deemed to have common cause with the secessionist states. The American Civil War was an especially tragic war-within-a-war for the Five Tribes -- a continuation of the bloody feuding that had split the nations prior to the Trail of Tears, when the Ridge/Watie/Boudinot faction signed away ancestral lands in the East, leaving the remaining Cherokee under John Ross to square off with Andrew Jackson. 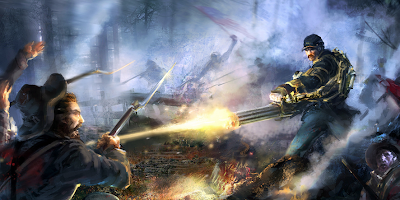 As organized Indian units went in the Civil War, those fighting for the Confederacy were chiefly mixed-blood Indians, like Stand Watie, a three-quarter Cherokee, and members of the Five Tribes who fought for the Union were principally pure-blood. John Ross himself was only 1/8th Cherokee, and a owned a great many slaves. 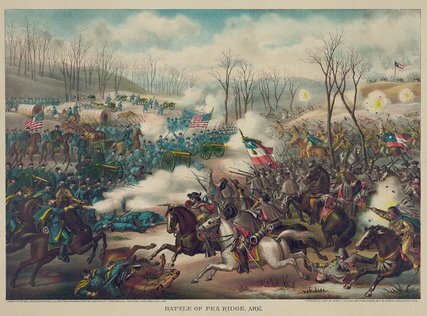 To commemorate the 150th anniversary of the Battle of Pea Ridge, or Elkhorn Tavern, I am reposting an updated blog entry originally published here about one year ago. Pea Ridge is one of my favorite battlefields to visit -- there is very little little in the way of monuments or memorials, and the field is compact and pristine. When the Civil War Forum visited there on one of our annual outings, we were fortunate to be led around the park by William Shea who, along with Earl Hess, wrote the definitive campaign study. Pea Ridge is notable for a number of reasons, foremost among them the fact that it effectively secured the border state of Missouri for the Union. Another fascinating aspect derives from the Confederate use of Native Americans from the Indian Territory, including the 1st and 2nd Cherokee Mounted Rifles. Union skirmishers took a toll on Confederate leadership at Pea Ridge. 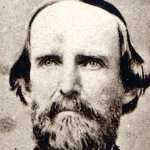 First, Ben McCulloch, a division commander in Van Dorn’s army, was shot from his horse by a volley from skirmishers of the 36th Illinois Infantry. No one in the Confederate ranks saw him go down, or didn’t realize it was him. For over an hour, McCulloch’s troops sat idle, awaiting orders. When, in time, Brig. Gen. James McIntosh took command of McCulloch’s column, he too was shot dead from his horse – by another volley from the 36th Illinois – after riding forward to scout the land. 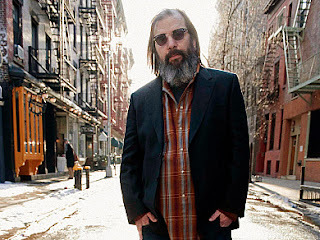 Reading about the death of McCulloch invariably causes me to start humming a little ditty from Steve Earle's Train a Comin' album. This song is my favorite of Earle's numerous Civil War-themed tunes. I love that he takes the perspective of a southern soldier in the Trans-Mississippi, not really knowing what he's gotten himself into. 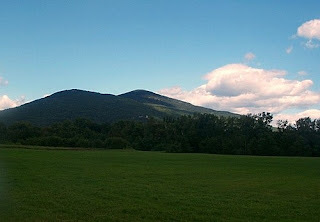 And I like the references to Wilson's Creek and the Boston Mountains, a part of the country for which I have a fondness. I also appreciate that Earle chooses not to glorify the war in some cliched manner, or to present a sentimental declaration about the rightness of one side's cause. 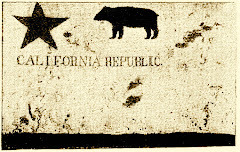 And though Earle's rebel foot soldier "ain’t never owned a slave" – most rank and file Confederates did not – Earle is no Lost Cause apologist, and is under no illusions about the centrality of slavery in the secession crisis, a topic he sometimes muses about when introducing certain songs in concert.